How Much Does the Average Briton Have in Their ISA? Home > Savings > How Much Does the Average Briton Have in Their ISA? Did you know that the amount saved in your ISA may vary depending on where you live? Recent financial surveys have revealed large fluctuations in the amounts saved by Britons in different parts of the UK. The individual savings account (better known as the ISA) was first introduced to the UK in 1999. It was a savings scheme designed to be more user-friendly and accessible to everyday savings, replacing the more complicated personal equity plans (PEPs) and tax exempt special savings accounts (TESSAs). ISAs are only available to UK residents over the age of 16 and come in two main investment types: cash or stocks and shares. Since those early days ISAs have grown increasingly popular with UK savers, although moreso in some parts of the British Isles than others. 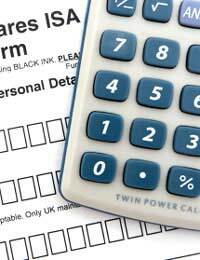 Let’s start though with the national average: according to Halifax research, the average British saver has close to £8,000 tucked away in their ISA, earning tax free interest on their savings. Within this average though, the amounts people have saved can vary significantly. Take Derbyshire for example. In this part of the country ISA savers have managed to grow their savings to an average of £10, 476. The residents of South Buckinghamshire are not too far behind them, with savings that work out at £10,341 per ISA account. In fact, across the Greater London and the Home Counties is where you will find the majority of the nation’s biggest ISA savers. Residents of inner London boroughs such as Hackney and Southwark bring the average down though, with regular savings of £4,675 and £4,791 respectively. Taking the figures on a regional basis, there’s relatively little to choose between different parts of the UK, although the trend is for the South to have more savings than the North of the Isles. People in East Anglia fared well, with average savings of £8,366, closely followed by residents of the East Midlands, with an average ISA kitty of £8,340. Outside of the English borders, in Scotland savers have an average of just £6,450 set aside in their tax-free ISA. In Wales savers have as much as £7,590. The research conducted also looked at people’s ISA savings as a percentage of their total income. In this respect, people in Wales were crowned as the best regional savers, by saving roughly 37 percent of their pay into their ISA. Northern Ireland gained a very creditable second place with average savings of 36 percent of their salary. Londoners proved to be the least successful savers, managing to set aside just over 20 percent of their average earnings into their ISA account, perhaps as a consequence of the higher cost of living associated with life in the nation’s capital city. So what should we make of this research? Well, while there are clearly some geographical distinctions that come in to play, the key point to consider is that none of us are taking full advantage of the tax-free benefits of ISA savings. The current annual limit for what we can put into an ISA was recently raised from £7,200 to £10,200, but the national average for total ISA savings still remains well short of the annual limit. We should all be trying to set aside more for a financial rainy day, and the ISA is still the most tax-efficient way for us to do this. Is it Time You Fixed Your Savings Rate? High Street Savings Accounts: Are They Still Worth It?